Why do so many marijuana users reach for a mind-altering substance in preference to drugs designed to “help”? There’s a reason why so many big pharmaceutical companies are lobbying against legalization. 80% of marijuana users give up prescription drugs in exchange for cannabis. A survey lead by cannabis activist and researcher Phillippe Lucas (Ph.D.) examined 473 adult medical marijuana patients in British Columbia. 80% of which reported that they substitute therapeutic cannabis for prescription drugs. Even better, 87% of marijuana users stated that they gave up alcohol, illicit substances, or prescription medications in favor of weed. Specifically, 52% substituted marijuana for alcohol and 32% substituted marijuana for illicit drugs. This is some very bad news for the pharmaceutical industry, which currently manufactures everything from painkillers to drugs that you’re supposed to take to prevent addition to other drugs. Since so many cannabis users are opting for natural treatment, it’s now up to public health officials and the scientific community to truly face the complex questions surrounding individual choice. Why do so many marijuana users reach for a mind-altering substance in preference to drugs designed to “help”? Why have public health officials taken the abstinence stance for so long at the risk of reducing total public harms? If you haven’t already heard, the United States is currently suffering from a heroin epidemic. Rates of heroin use have been climbing in nearly all age groups and among all income levels. There has been a 6-fold increase in heroin overdose fatalities from 2001 to 2014 alone. These statistics do not include information on the deaths from heroin-related contractable diseases like HIV/AIDS. The Center for Disease Control has stated that those at the strongest risk of developing a heroin addiction are people who have developed a dependence on opioid pain medications like morphine, Vicodin, and OxyContin. Back in 2014, Vice reported that doctors wrote over 259 million opioid prescriptions in 2012. This is more prescriptions than some states have people. Today, some of the largest anti-marijuana organizations receive huge donations from manufacturers of pain medications. Why? Because marijuana is an incredibly potent natural pain reliever. 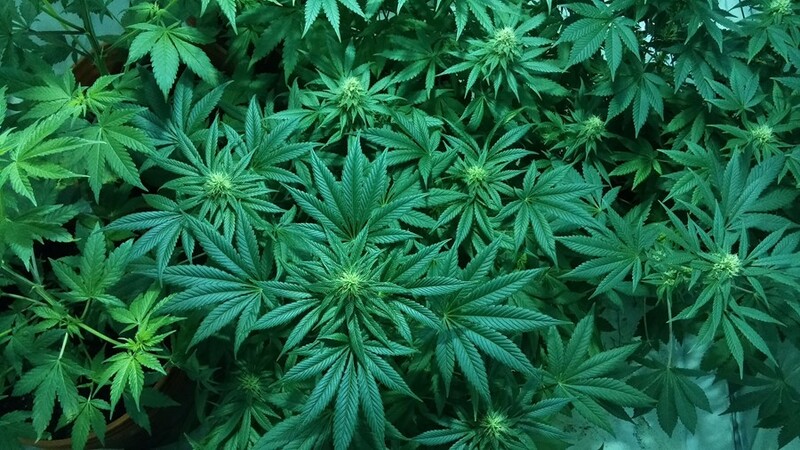 The plant has far fewer uncomfortable side effects and fewer withdrawal symptoms. If you’re a medical cannabis user, then you’re probably aware of the fact that marijuana is an effective treatment for a wide variety of ailments. From diabetes to headaches, to cancer and MS, cannabis has shown incredible therapeutic potential time and time again. With such a wealth of medical benefits and a strong user preference, it’s no wonder that pharmaceutical companies are paying top dollar to squander legalization. But, fortunately, they can’t seem to stop the public momentum behind marijuana reform. Have you opted for medical cannabis over pharmaceutical medications? How is it working for you? What inspired you to make the change? We’d love to know! Please share your story with us on social media or in the comments section below.